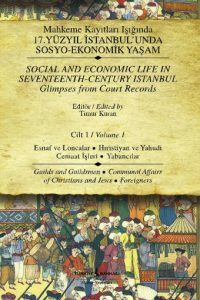 In the seventeenth century, when the modern global economy began to take shape, what institutions governed socio-economic life in the Eastern Mediterranean? Were the region’s traditional economic institutions in flux? This ten-volume set, 6,431 pages in length, presents original historical sources that are helping to generate answers to the above questions. The books are the culmination of a data-gathering project initiated in 2003 as part of research that led to The Long Divergence: How Islamic Law Held Back the Middle East. The set contains Ottoman-Turkish transliterations, along with English and modern Turkish summaries, of thousands of cases found in 15 seventeenth-century Islamic court registers from Istanbul, then the capital of the Ottoman Empire and the commercial center of the Eastern Mediterranean. Volume 10 contains several general indexes.